For a better understanding of its terroirs and grape varieties, the Cave de Tain is itself the owner of vineyards, in particular 21 hectares in Hermitage, on various terroirs in the appellation and also small showcase vineyards in Crozes Hermitage, Cornas and Saint Péray on the best terroirs. Here, the Cave de Tain perpetuates its expertise and traditions and lead by example. 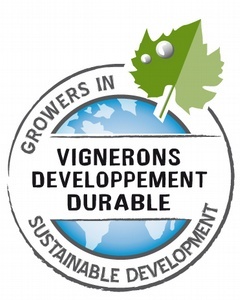 The Cave de Tain is a pioneer in its region in the field of sustainable development, to which it has demonstrated a strong, sincere commitment since 2000. Changes in the business have been structured around this approach, unifying the whole team as a source of creativity, which is now the basis of all our decisions.